Downstream pressure control and isolation valve. 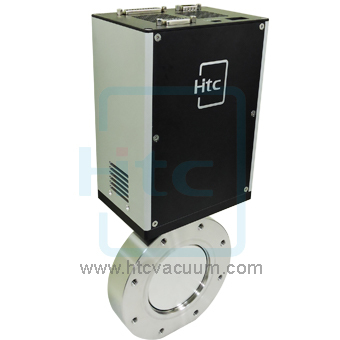 Vacuum butterfly valve is a valve which can be used for isolating or regulating flow. The closing mechanism takes the form of a disk. Operation is similar to that of a ball valve, which allows for quick shut off. Butterfly valves are generally favored because they are lighter in weight, meaning less support is required. 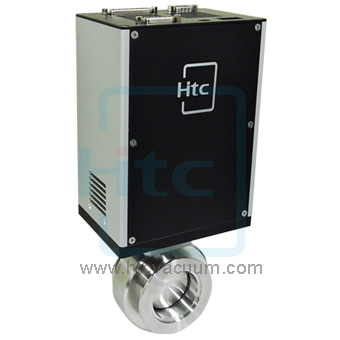 Htc vacuum provides various butterfly valves which features long service life, high quality and high performance, the robust and rugged design can be relied upon for years of trouble free service. There are manual, pneumatic and electric actuators butterfly valve available for different applications. One thing should be aware is that when the butterfly valve is fully open and the disk is protrusive from the valve body, the disk might interfere the inner surface of the connecting duct, users should check the minimum ID of connecting duct before installation.